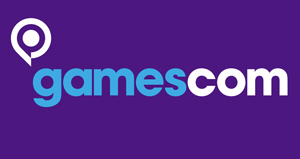 Akin to E3, Gamescom is underway in Germany and is bringing no shortage of game announcements and surprises. Alongside peeks at Dragon Age 2’s new combat system and Infamous 2’s “new” old look, Microsoft and Sony had loads of information to share with gamers everywhere over the past two days. BioWare, developer of the Mass Effect and Dragon Age series, announced that Mass Effect 2, the critical smash hit with a MetaCritic score of 96, is going to come to the PlayStation 3 in January 2011. PS3 fans have been yearning for an adaptation of the series for their console, but according to a Microsoft representative only the second game in the trilogy will be available, the first being exclusively on Xbox. It is unclear whether BioWare is going to enhance the title’s graphics for the PS3 at this time. It was no secret that a Resistance 3, the brainchild of developer Insomniac Games, was in production. A teaser appeared about a year ago on a movie set, where the game’s logo was found on a distant billboard. Insomniac also shed light on the fourth installment in the popular Ratchet & Clank series, a cartoonish platformer rooted in the studio’s previous development of the Spyro series. Insomniac has announced their move to cross-platform development, but it is unclear at this time whether or not either of the games will be available on the Xbox. Sony also showed off a Move-enabled Killzone 3, also announcing that MAG would also receive Move capabilities, which is to be strengthened by a beta. Microsoft Game Studios also had titles to boast about, announcing Age of Empires Online and Microsoft Flight. Age of Empires Online is the next in the line of the massively popular RTS series, is set to be an online-ready Games for Windows title, developed by Microsoft Game Studios as well as Robot Entertainment. Exciting features include a capital that lives even when you are offline, a level-based upgrade system, and online cooperative missions. Microsoft Flight was also announced, claiming a more casual approach to the unflinchingly brutal flight-simulation series. Bungie also revealed a new firefight map and a live-action trailer for their highly anticipated title Halo Reach, which is being published by Microsoft Game Studios. Call of Duty: Black Ops was available for attendees to play, featuring a level that was comprised of mixed aerial and ground assaults. It contained no shortage of Michael Bay moments, though contained no blood, most likely as a result of Germany’s censorship. Black Ops hits stores on November 9th of this year. Portal 2, the successor to the action-packed puzzle game, was given a release date. While the first game’s success was hampered by the brevity of the story, developer Valve is creating this to be a standalone title. Portal 2 will be available for PC, Mac, Xbox 360, and PS3 on February 9th, 2011, featuring cooperative missions, a new environment, and the return of everybody’s favorite antagonist, GlaDOS. Assassin’s Creed: Brotherhood is set for a November 16th release, featuring a single-player story that will act of an extension of the second game’s story, while adding multiplayer for the first time in the history of the series. The multiplayer portion is available for the first time to gamers at Gamescom. Infamous 2’s protagonist, Cole MacGrath, underwent an aesthetic change recently as fans grew upset over his new look. Resembling the Cole from the first game in every way but his voice, many fans are quite happy with the changes. Others, however, feel as if the many themes in the first game may be lost in the second with Cole’s new voice. Infamous 2 is preparing to launch in 2011. Wii fans also received a taste of what is coming soon to their motion-controlled platform. The Legend of Zelda: Skyward Sword was demoed again, this time with more accuracy than the pitiful E3 performance, and is harnessing the power of the Wii impressively. Donkey Kong Country Returns was shown and will feature the same platforming we have come to know and love alongside a new co-op feature, where a second player will be able to jump in as Diddy Kong. Set for a November 21st release, Donkey Kong Country Returns is the sequel to the 2007 re-make of the SNES game. It appears that Gamescom is going to be more exciting than originally anticipated. Who came out the winner over the past few days? Did PlayStation’s exclusive titles alongside the announcement of new Move-enabled games float your boat? Or did Microsoft’s revival of classic games suit you better? Do you think that the Wii is set up to take on PlayStation Move and Microsoft Kinect this holiday season? Let us know!